As the weeks go by, the events keep on multiplying! In May, five Le Dîner en Blanc events are scheduled, including two brand new cities: Darwin in Australia and Zagreb in Croatia. With events already well established in Sydney, Adelaide, Melbourne and Perth, Le Dîner en Blanc continues to win Australia’s heart. Darwin is adding itself to the list on their first Le Dîner en Blanc – Darwin, held on May 6th. With heads filled with great ideas, hosts Marijana Tadic, Anisha Stitfold and Britta Decker are putting the final touches on the event. 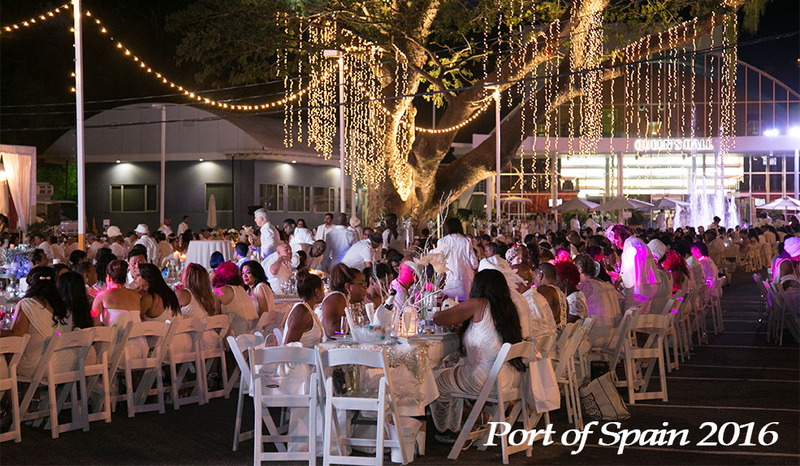 On that same day, in the capital city of Trinidad and Tobago, a flood of white napkins will swirl in the air for the second time at Le Dîner en Blanc- Port of Spain! Spreading back from the Gulf of Paria and cradled by the Northern Range foothills, Port of Spain is famous for its Carnival season and the electric atmosphere it brings to the city! The three hosts Dean Ackin, Gerard Ramirez and Dwayne Nobrega are hard at work on this event to makes sure it is as spectacular as the first edition in 2016 at Queen’s Hall. 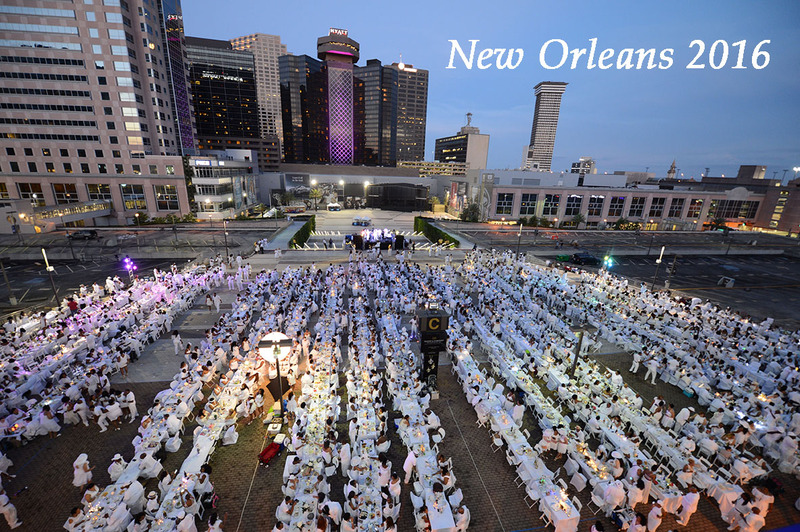 Le Dîner en Blanc – New Orleans celebrates 5 years on May 13, 2017! In 2016, the event enchanted all of its 3,200 guests at the Mercedes-Benz Superdome. To mark this milestone, the hosts are definitely preparing a few exciting surprises for their 4,000 guests! 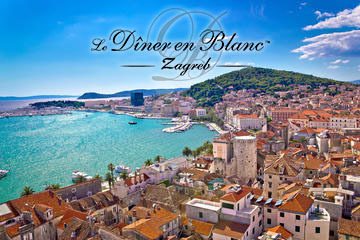 We welcome Croatia to the ever-growing family of Le Dîner en Blanc! The inaugural edition will take place Saturday, May 20th in the capital city of Zagreb. At nighttime, Zagreb becomes festive and particularly welcoming… An amazing mix of tradition and modernity, the tranquility of the city is the perfect setting for romantic strolls, and wandering around… an ideal environment for an event like this one! Le Dîner en Blanc – Zagreb hosting team is composed of Joe Basic, Tihana Bervicato, Ivan Gotovac, Branimir Karacic and Katrina Niksic and is ready to take on the challenge and showcase the core values of the event: friendship, sharing and love! The May events end in South Korea with the second edition of Le Dîner en Blanc – Seoul schedule on Saturday, May 27th. Last year for the inaugural in Seoul, more than 1,000 guests gathered on the banks of the Han River. After such a great start, Juyoung Park, Sung-Kwan Lee and Nagyung Ro are busy preparing an evening as magical as the previous one. For further information about these events, visit their Website and Facebook pages!